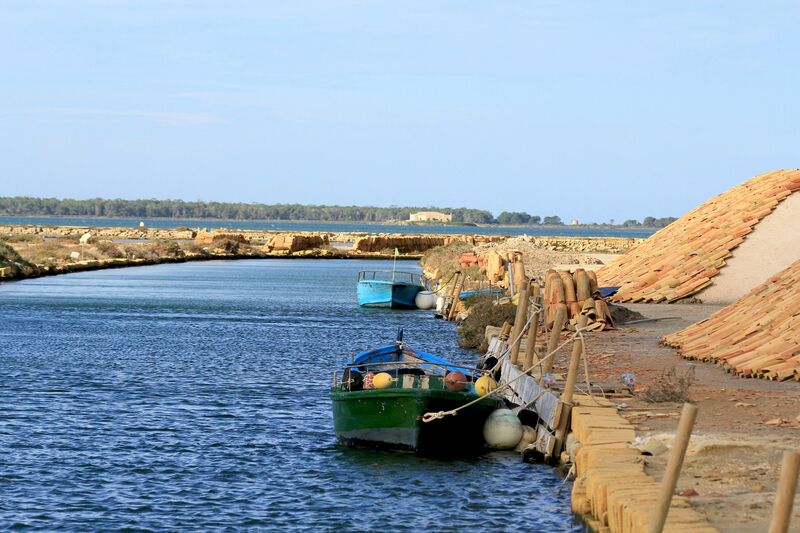 The first historical record of production of salt along the coastal areas between Lilybaeum and Drepanon (today Marsala and Trapani) comes from the famous 12th century Arab geographer and man of letters Muhammed al Idrisi (Edrisi). Invited to the court of King Roger II in 1140s, he recorded his observations from Sicily in one of the greatest “scientific” medieval books known as the “Book of Roger”. 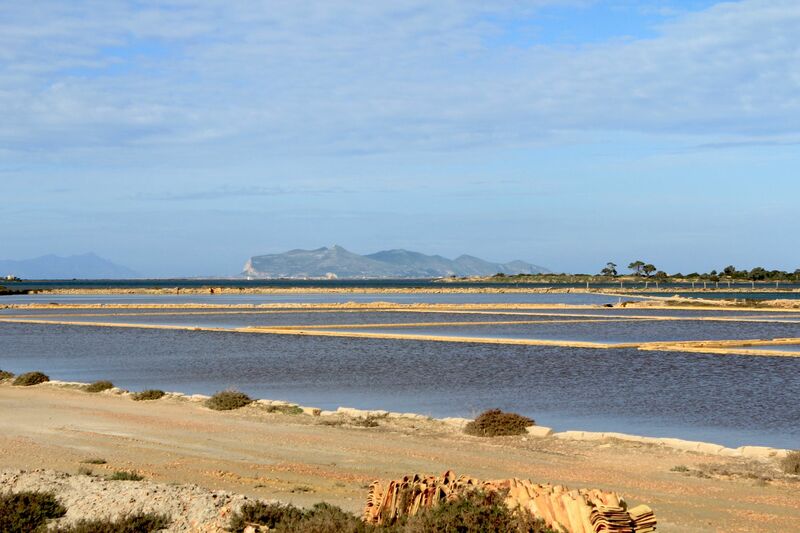 The fact is that shallow sea waters, constant breeze from the sea and hot summers made the area between Marsala and Trapani a perfect place for production of salt. 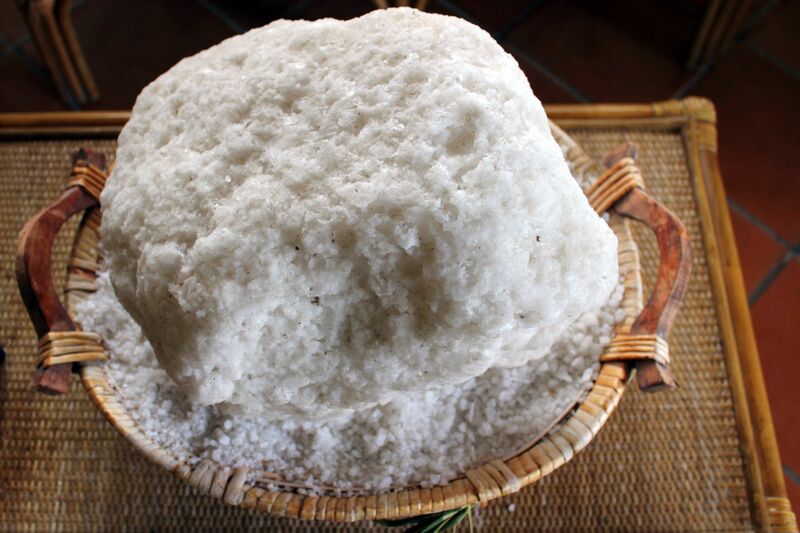 And while Edrisi’s observations are from the times when Sicily was under Norman control, on a smaller scale the salt was produced there almost two thousand years earlier by Phoenicians. It may be worth to note that at those times the demand for salt was not that much driven by needs of “taste”. It was rather salt’s power to preserve perishable food by protecting it from rotting and decomposing bacteria that for centuries made it so valuable product. Proximity of North-European markets and location at the crossroads of Mediterranean sea-routes greatly contributed to the expansion of the business. 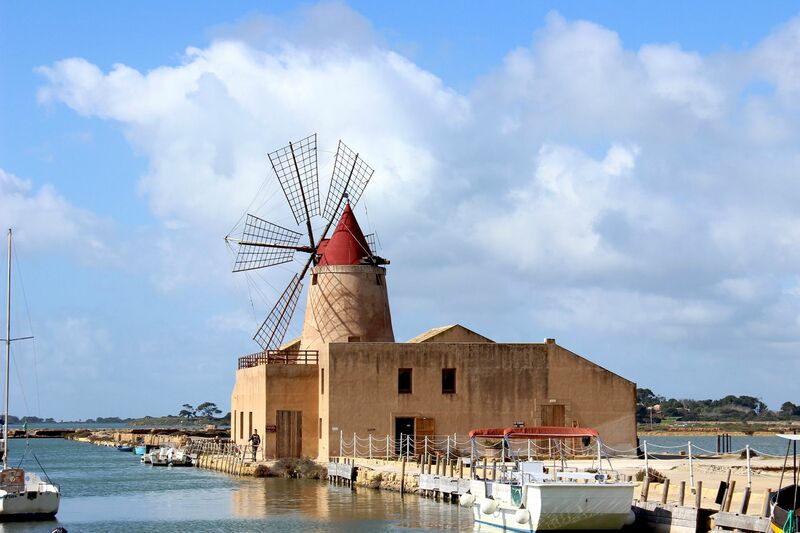 Production of salt hit the highest point in 16th century under the reign of Charles V when Trapani became the biggest European commercial hub for salt exportation. 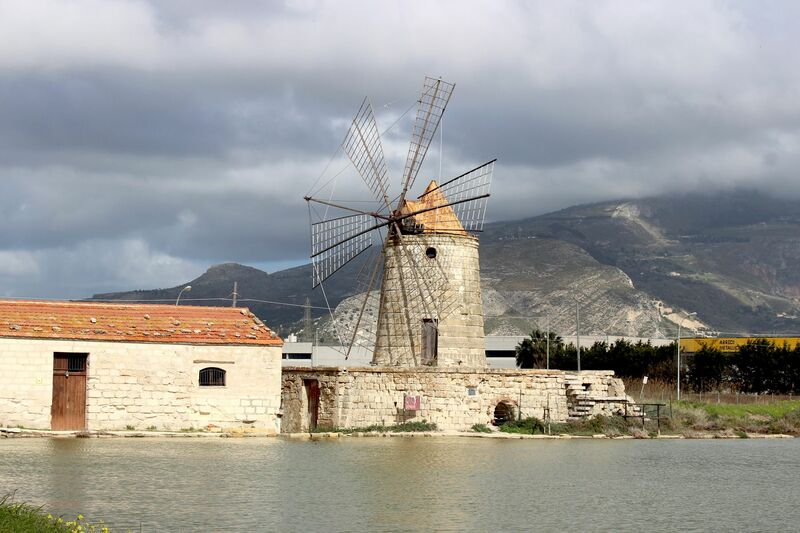 Since then due to the growing foreign competition, the production declined, but still just before the unification of Italy in 1860 between Marsala and Trapani there was about 40 active salt lakes providing yearly some 200 thousand tons of salt. Then the “business climate” degraded abruptly and by the end of WW2 the production of salt completely ceased. 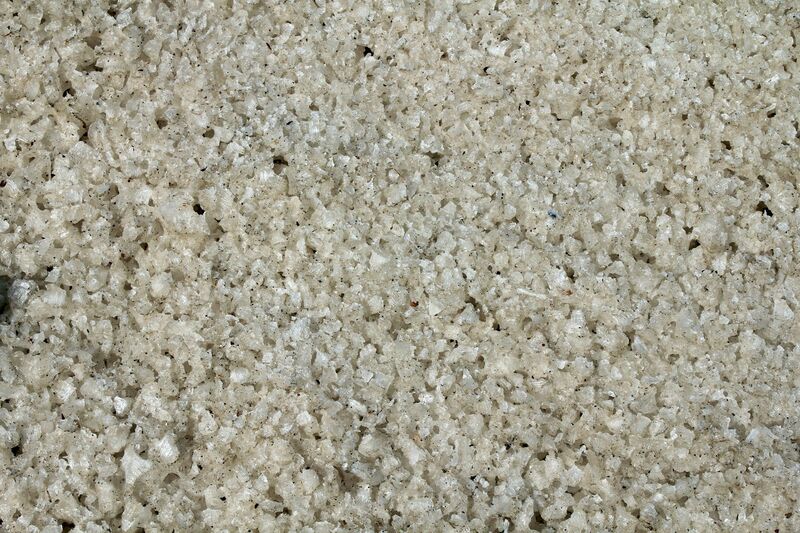 Large swaths of dried salt-lakes had been converted to urban or commercial zones. 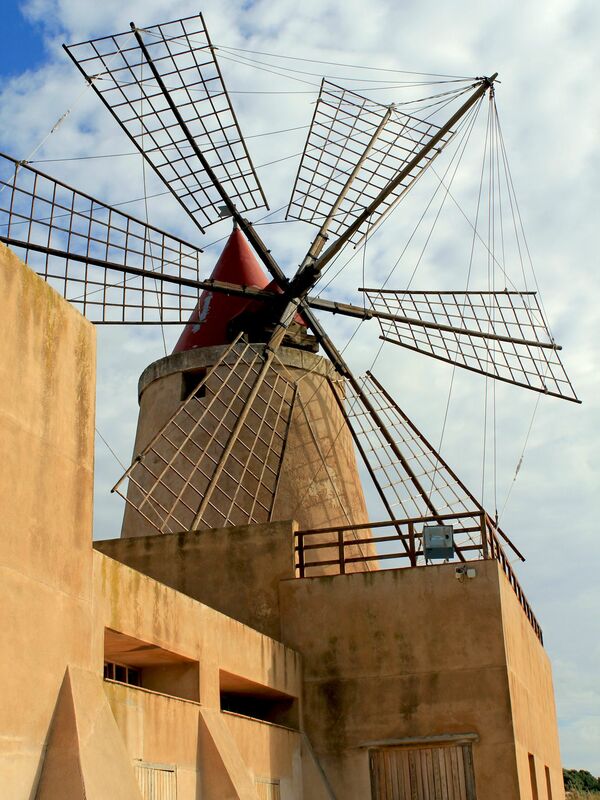 During that process the nostalgic landscape of salt pans dotted with windmills as well as local wildlife and flora started to disappear…. 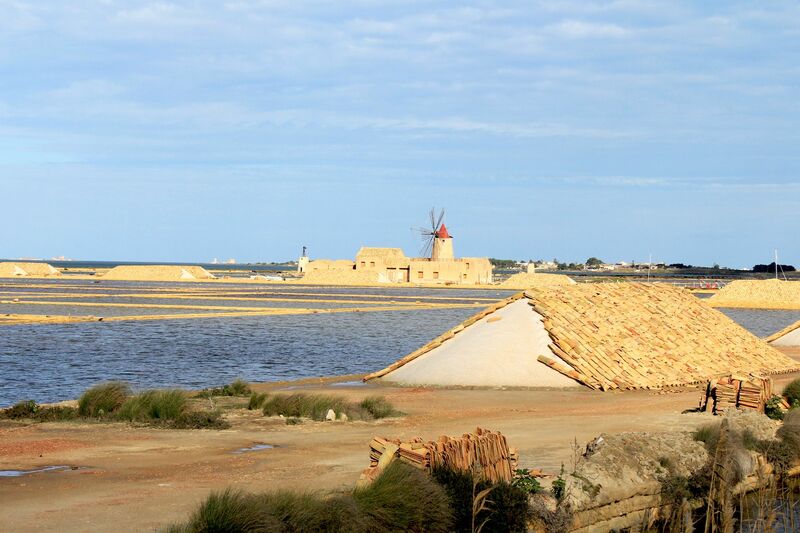 Thanks to the efforts and determination of last owners of salt-pans as well as alarms raised by environmentalists, in 1984 the Sicilian government took the area under protection of law by establishing the Reserva Naturale Orientata. Initially the Reserve included about 2000 hectares stretching from the Cape Lilybaeum (near Marsala) to the Cape San Teodoro. Without a doubt, the most picturesque part of the Reserve is the Stagnone Lagoon. 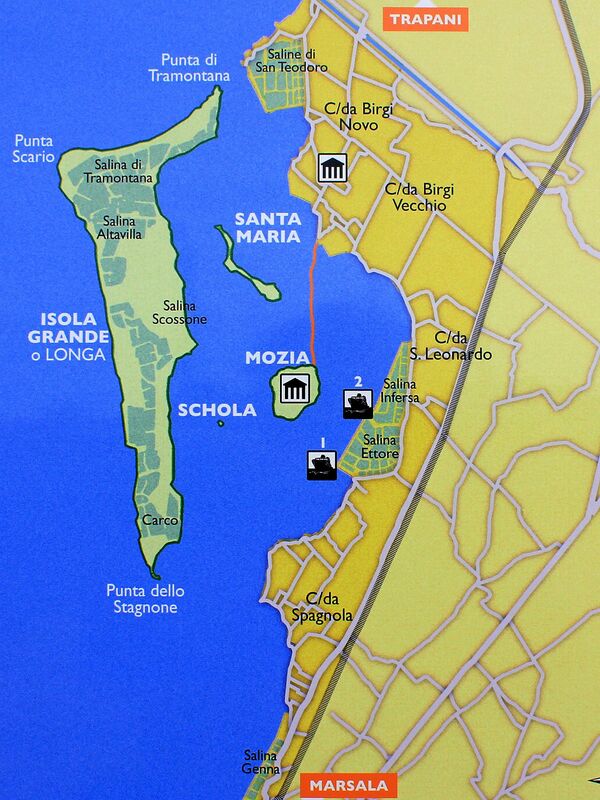 Separated from the sea by 7 km (4.5 miles) long Isola Grande (Long Island) it also encompasses smaller islands - Schola, Santa Maria and San Pantaleo . The latter is also known as Mothia (Mozia) after the famous Phoenician town founded on the island in 8th century BC and for long dominating western part of the Sicilian island. Now only ruins of once powerful defensive, religious and residential structures can be seen on the island. Fortunately thanks to efforts of Joseph Whitaker, numerous unearthed artifacts like amphorae, statuettes, decorative fragments of walls, jewelry and widely admired life-size statue of Giovenetto di Mozia (Young Man of Mozia) were saved from decay and oblivion and are now on display in the local Museum. 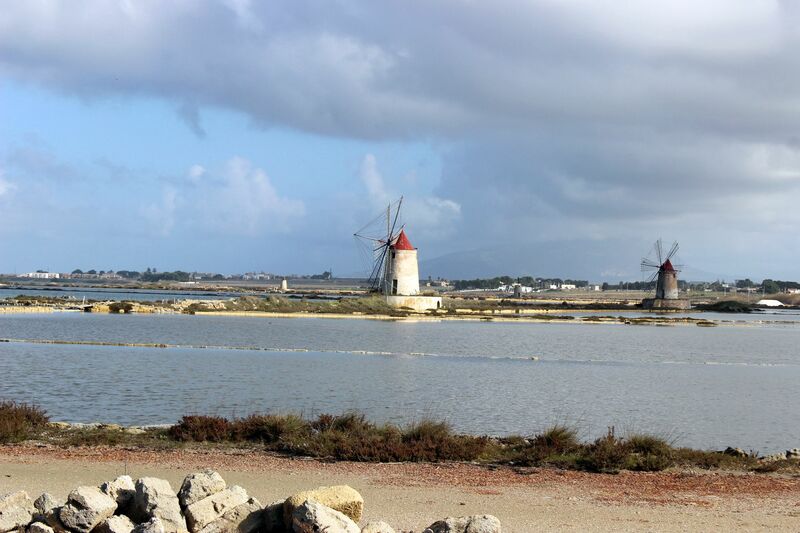 But what makes the lagoon a really charming place is a “chessboard” of still active salt-pans dotted with few old, wingless windmills. Cut by narrow strips of earth reinforced by blocks of tuff (consolidated volcanic ash) lagoon’s waters resemble gigantic mosaic of mirrors. 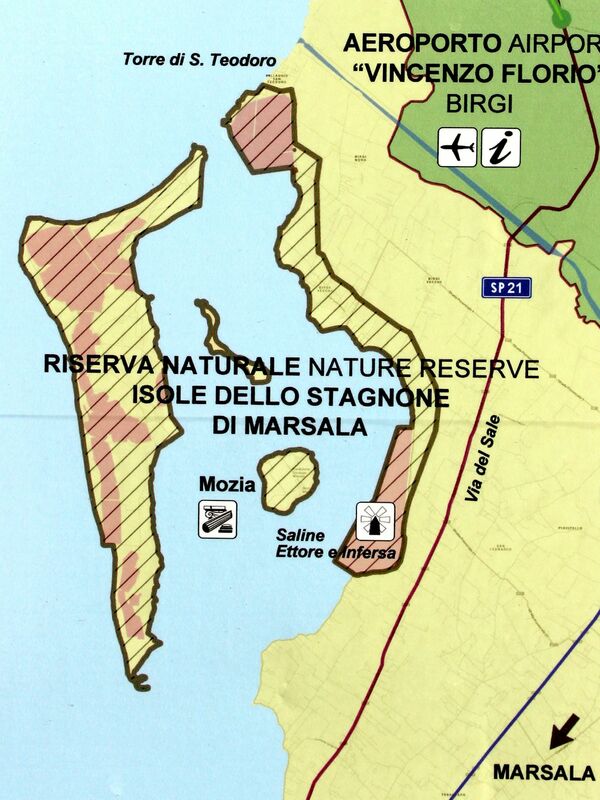 Encouraged by the initial success of Stagnone Natural Reserve, in 1995 the Sicilian Government established another protected area. 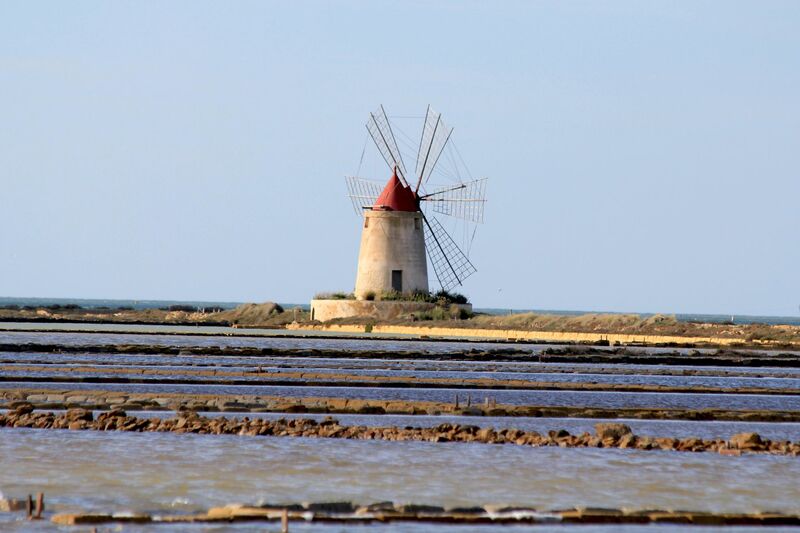 Called the Nature Reserve Saline di Trapani-Paceco, it encompasses almost 1000 hectares of old salt-pans stretching between Torre Nubia and Salina Grande. It was certainly the last moment to save this picturesque landscape from the appetite of ever hungry agglomeration of Trapani continuously “snatching” surrounding land. 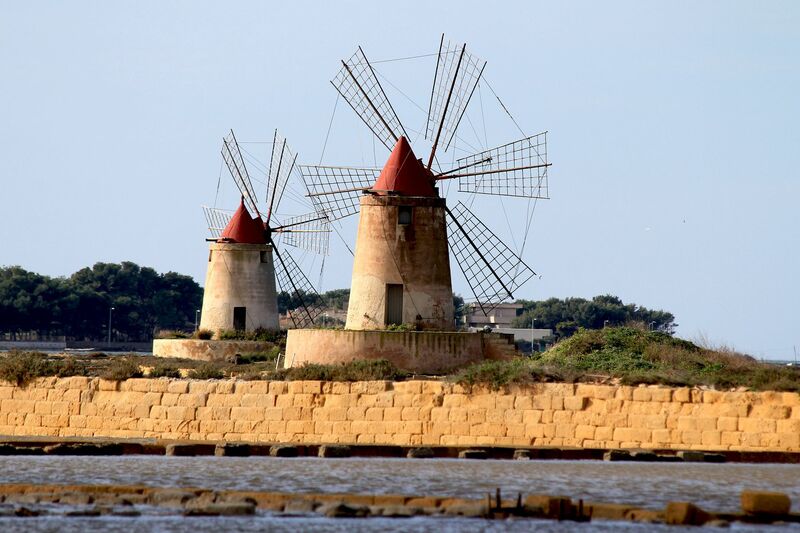 Thanks to these historical decisions, today several little salt-pans along the shore and few saved from demolition windmills keep the historical landscape alive. “Awaken” from the long period of inactivity some salt-pans restarted production of salt although at much smaller scale. As in the past, the production cycle is determined by weather and usually starts in March and finishes in September. In the course of summer season the salt pans start to change colors – with evaporating water the deep blue tint is gradually giving way to reddish and finally once the salt crystallizes it all changes to dazzling white. 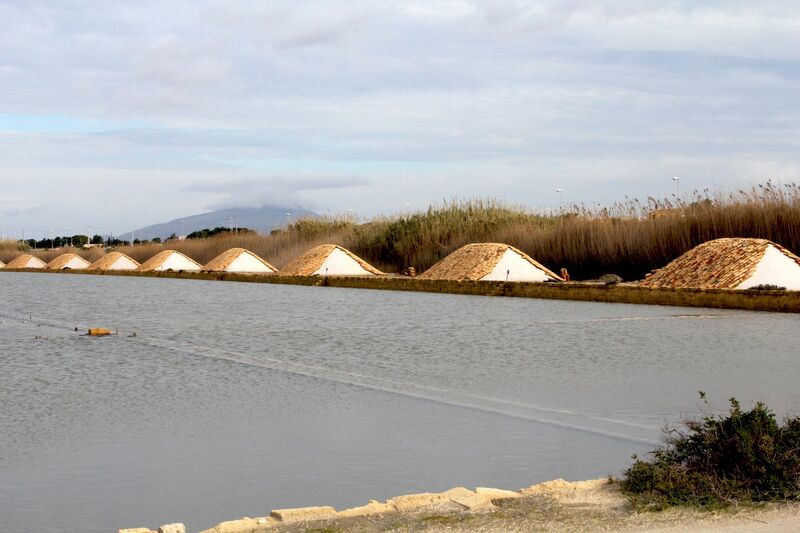 Then salt workers (called “salinari”) collect the salt and pile it along the banks. Rains eventually rinse the salt cleaning it from dirt. 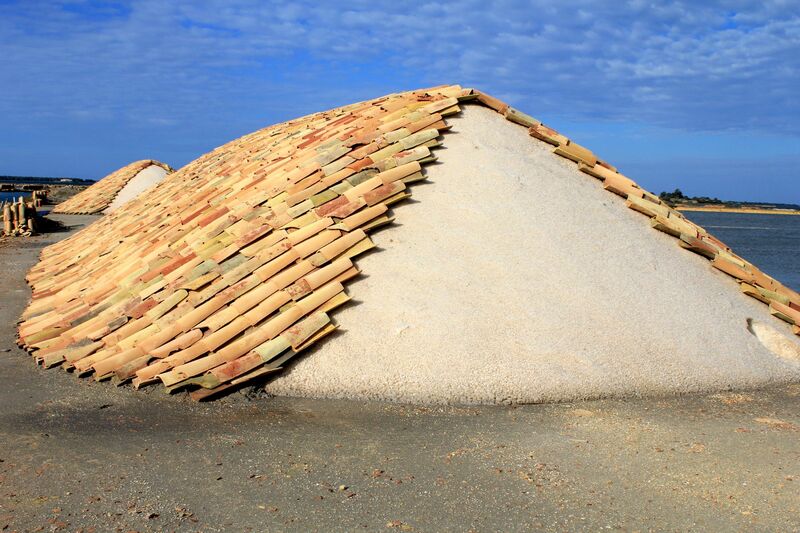 The landscape changes its colors once again when prisms of “whitish” salt are covered by red terracotta tiles. 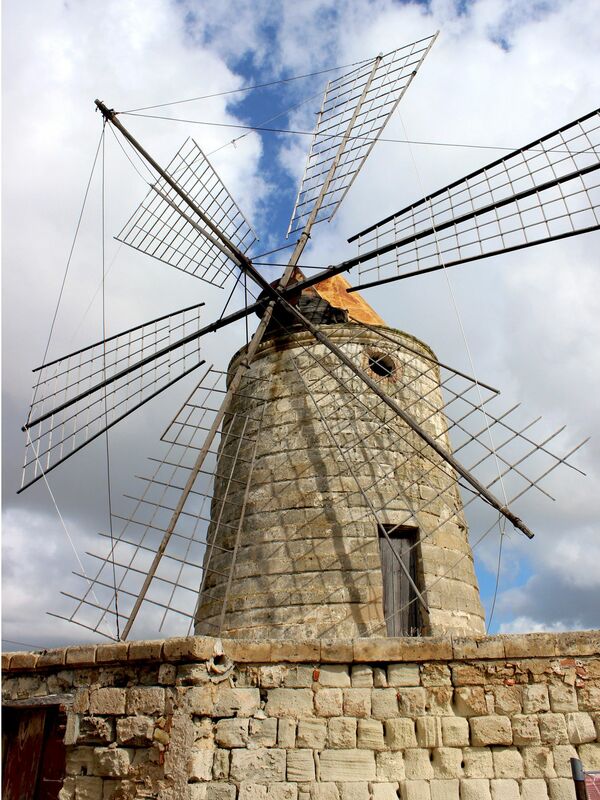 Windmills were important parts of salt business. These truncated conical structures with wooden blades covered by sails-fabrics had dual use. 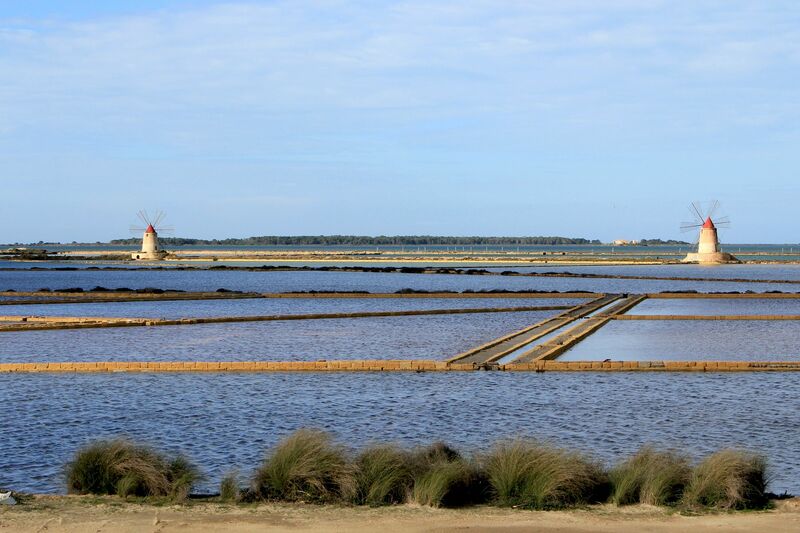 At the start of the salt-production cycle there were used to pump sea waters from the canals to usually sitting at 1 to 2 meters higher level salt pans. It’s worth to mention that this laborious task was carried out by pumps based on an Archimedean–Screw (millennia old idea of the famous Greek mathematician from Syracuse). 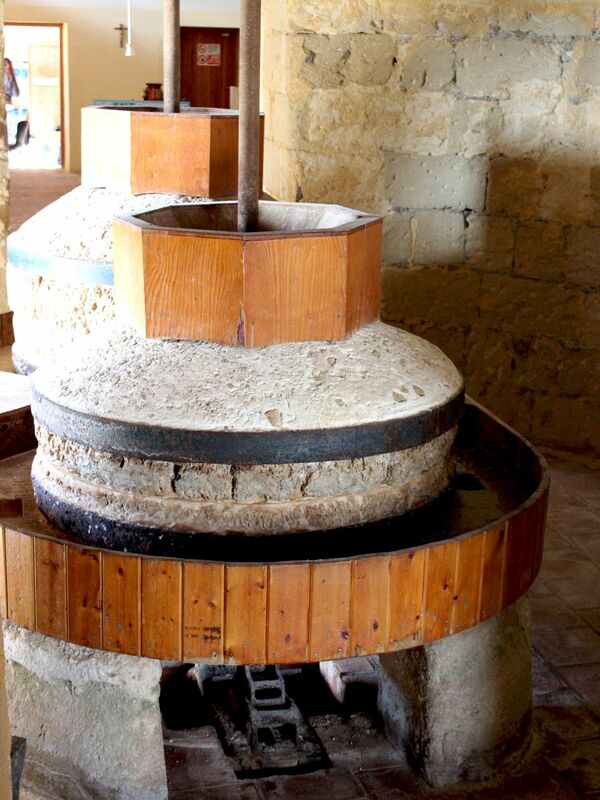 Then at the end of the salt collection windmills were used to grind the salt. 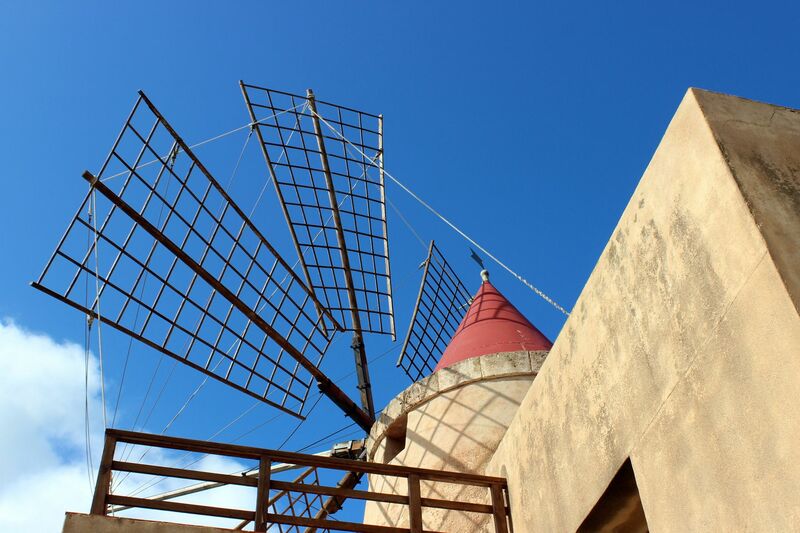 Today, old “wingless” windmills are mainly tourist attraction giving the area an old nostalgic view. Some of them are used as museums preserving quickly disappearing past for future generations. 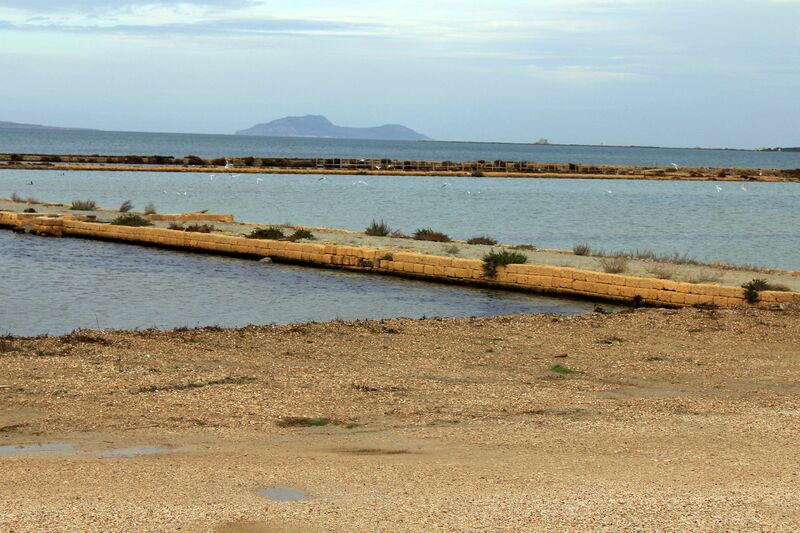 As a sign of time (and let’s face it – a promotional effort of local Tourist Office), the winding along salt-pans coastal road SP21 linking Marsala with Trapani became nick-named “Via del Sale” (Salt Road). Salt for guests in the nearby Visitor Center? Isolated from the deep sea by the sandy barrier of Isola Grande, shallow and warm waters of the Stagnone Lagoon create a unique ecosystem. It provides a fertile habitat for rich under-water flora and fauna. Large colonies of Mediterranean sea-weeds (Posidonia Oceanica) generate much needed oxygen, serve as source of nutrients and shelter all kinds of small sea creatures. Many species of fish (sea bass, sea bream, gilthead, sole ….) found here favorable spawning grounds. It’s also an ideal habitat for murexes (large sized sea snails from the family of mollusks). Phoenicians collected them to produce precious purple dye used for royal robes and special ceremonial garments. While these “underwater forests” are very beneficial for marine ecosystem, they are not appreciated by beachgoers. 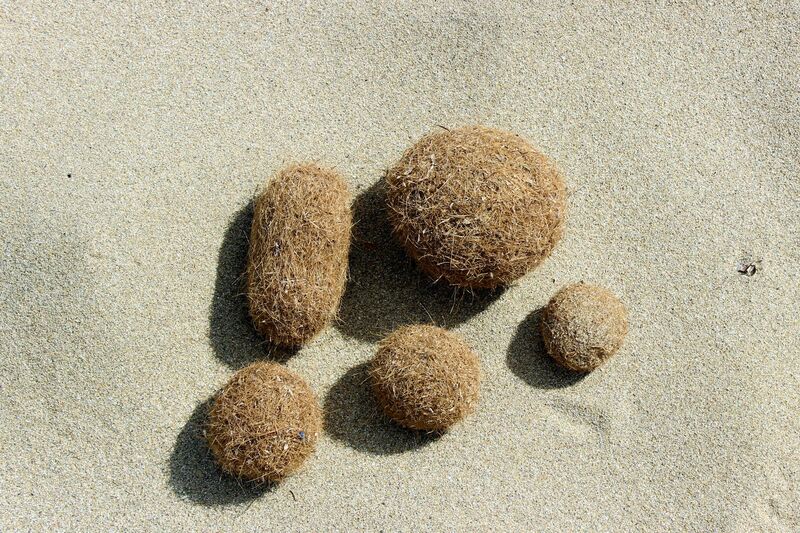 And it’s hard to blame them, because Posidonia’s long leaves and free-floating fruits in form of balls of fibrous material (called “Olives of the sea) wash up on beaches changing them to much less enjoyable place. The lagoon is also a resting stop for migrating birds on the way to/from Africa as well as a heaven for nesting birds. Bird-watchers may spot here such birds like spoonbill, pink flamingo, glossy ibis, egret, heron, godwit, like titlark, goldfinch, crested lark and wild duck (to name just few). Finally, thanks to warm waters reaching temperatures slightly higher than the human body and almost permanent fresh breeze it is also a paradise for kite-surfers and all kinds of watersports.